Miami, FL – July 16, 2018 – The Global Wellness Summit (GWS), the foremost gathering of leaders in the $3.7 trillion global wellness economy, today announced that Mindy Grossman, president & CEO of Weight Watchers International, Inc. (NYSE: WTW), will take to the stage during this year’s Summit to share how the 55-year-old company has evolved and remained relevant to today’s tech-savvy, wellness-focused consumer. The invitation-only conference takes place October 6-8, 2018 at Technogym Village in Cesena, Italy. Weight Watchers continues to be the world’s leading commercial weight management program and is evolving to become a global wellness company that inspires millions of people to adopt healthy habits for real life. The company has reported tremendous momentum with the highest number of members and longest member retention in the company’s history. “Though we all talk about wellness now more than ever before, the truth is the world isn’t really getting any healthier–and we want to change that. Our goal is to be the leading brand in wellness by evolving based on the latest science and consumer insights and broadening our impact,” said Grossman. Recently, the Company launched its new program called WW Freestyle™, which produces better results with more flexibility than any previous WW program. In addition, community–whether online, at group meetings or even a one-to-one coaching session–continues to be a foundational element of the Weight Watchers program. Grossman, who led HSN, Inc. for 11 years prior to joining Weight Watchers, is well known for making brands newly relevant through positive disruption. She successfully took HSNi public in 2008 and is credited with transforming HSN into a lifestyle network offering an exciting array of products, personalities and experiences designed to engage, inform and entertain. In addition, Grossman served as Global Vice President of Nike, Inc. for six years and in her earlier career was President and CEO of Polo Jeans Company and Vice President of New Business Development at Polo Ralph Lauren Corporation. She is also Vice Chairman for UNICEF USA. 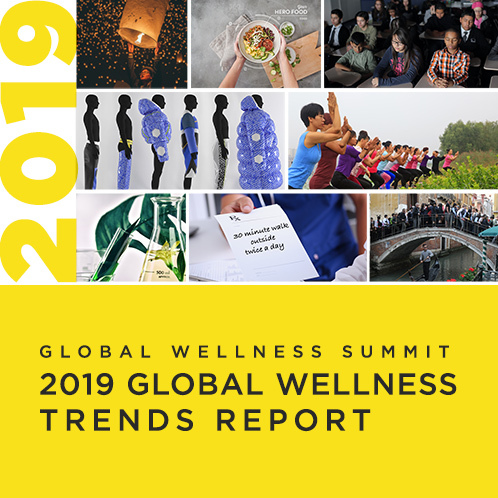 About the Global Wellness Summit: The Global Wellness Summit is an invitation-only international gathering that brings together leaders and visionaries to positively shape the future of the $3.7 trillion global wellness economy. Held in a different location each year, Summits have taken place in the US, Switzerland, Turkey, Bali, India, Morocco, Mexico and Austria. The 12th-annual Summit will be held at Technogym Village, Cesena, Italy, from October 6–8, 2018.